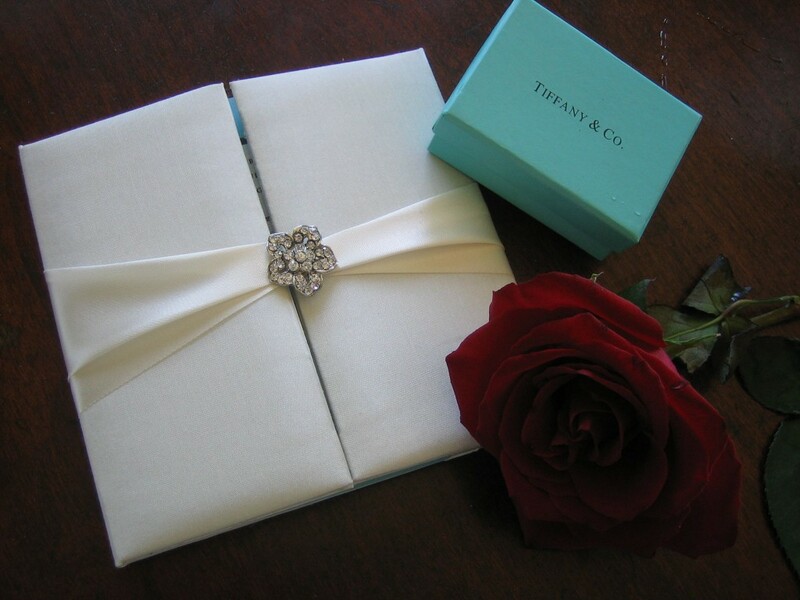 For a very elegant, Tiffany-themed wedding, I designed invitations to set the tone and the expectation for the guests: crystal-embellished ivory silk folders held custom-designed invitations. The folders were ordered directly from the manufacturer in Thailand. 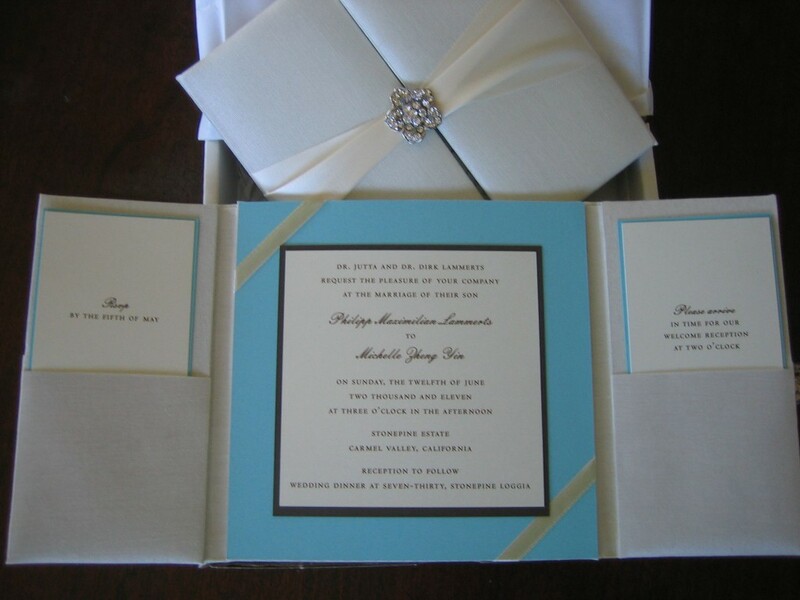 The side inserts in the folder flaps were used as RSVP cards and directions cards. 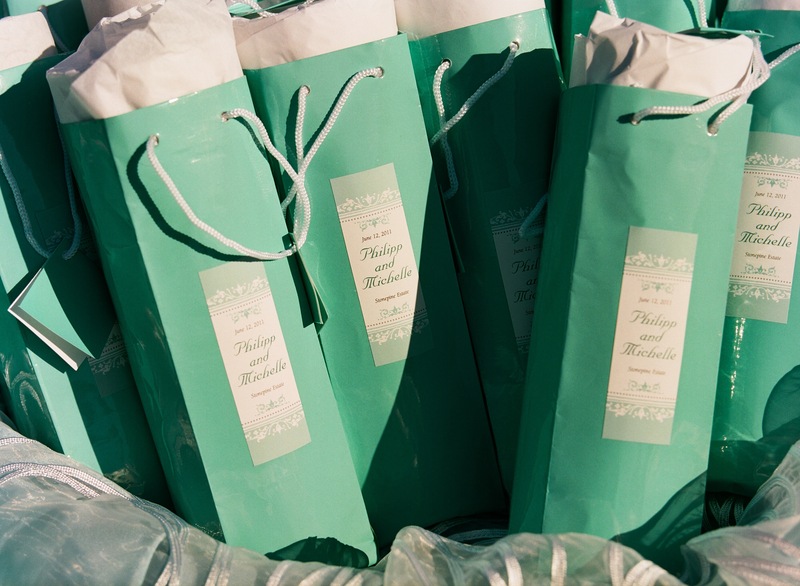 Invitations were wrapped in ivory tissue paper and mailed in white square boxes embellished with custom tiffany-blue address labels matching those used on the – equally custom-made – favors. 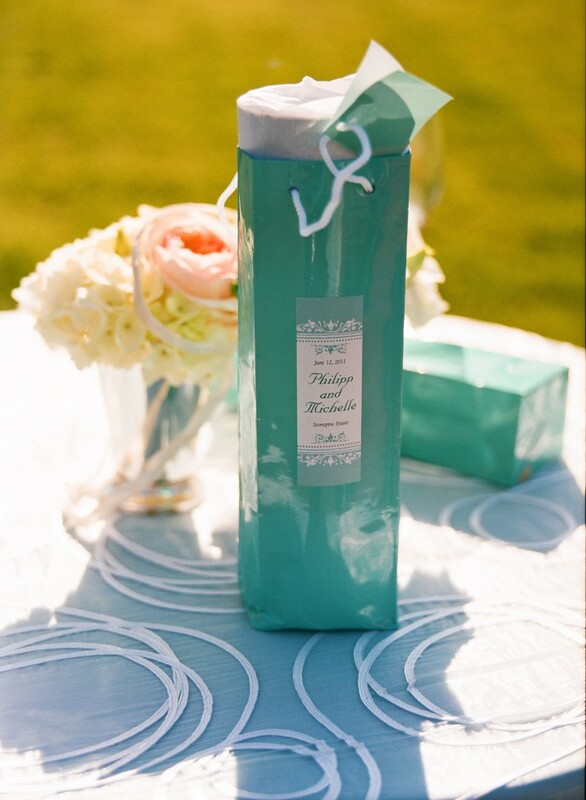 For favors, the couple chose home-made organic limoncello in corked and wax-sealed artisan glass bottles, packed “luggage proof” in tissue paper and cardboard tubes and presented in tiffany-blue handlebags with custom labels. An elegant presentation in keeping with the overall theme and elegance of the celebration – and a hit with the guests!